DynoSense provides life-enhancing products and services through an accurate, secure, and simple to use AI Powered Data Analytics platform. 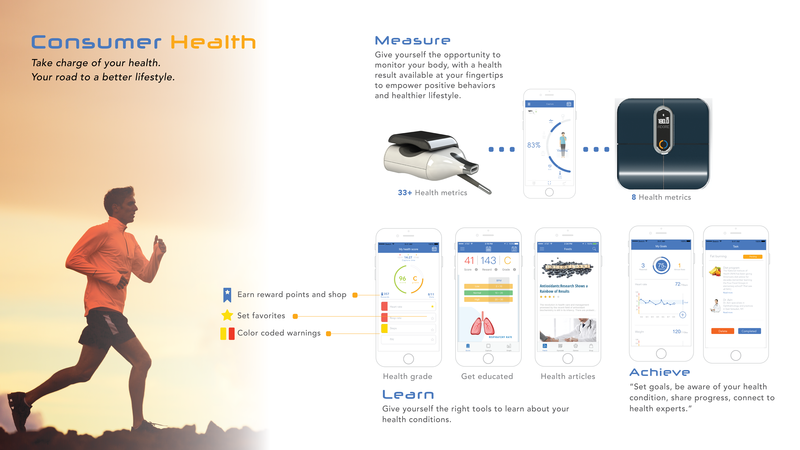 Our solution will effectively engage individuals to optimally improve their health, make a smarter decision for better healthy life, as well as reducing the risk of life-threatening conditions. Empower, inspire individuals to take control of their health in collaboration with their care experts and care friends. We fundamentally strive for best in class innovative products ahead of our industry. It is innovation that will drive our growth. It is our belief that no ideas outside the mainstream should be susceptible to being discounted, rejected, or ignored. So we set out to create a culture that fosters the freedom to innovate. We believe if you want the whole system to work well, you can’t just focus on each part and optimize its performance independent of the system. So, we make it crucial point to always build quality into the whole system. So we manage our processes methodically, and not just meet but exceed industry mandated standards for quality. Quality is part of the culture not just a by product of it. The best innovations come from working together with both colleagues and customers. Effective teamwork demands strong relationships, respect and sharing. Building productive, long-term relationships with customers. Embracing diverse cultures, communities and points of view. Readily sharing experiences, resources and opportunities. In order to be a successful innovator, it is imperative to have a strategic challenge in mind. It has to be the right strategy that creates value in lasting and meaningful way. Furthermore, it must keep pace with the many changes in our market and know what we are looking to solve in order to use innovation to solve it. Thus, a lot of perspiration must go into generating the inspiration that produces a truly breakthrough and practical innovation. To meet our customers, employees and shareholder’s expectations means we must execute our vision on timely manner. This culture of execution is based on our focus of accountability culture. So we strive to align our missions, with our vision and strategies to create highest quality and innovative products ahead of our industry. To provide superior service to our customers, we seek to provide innovative, quality products that benefit individuals, care providers, payers and corporations. Our goal is to provide innovative products and services for better life that are integrated, accurate, secure, and simple to use. We recognize, however, that we cannot achieve this goal alone. We understand how our successes and efforts depend on the support and participation of our business partners throughout our value chain, primarily our suppliers and customers. We collaborate with them in order to create a more comprehensive health solutions that are affordable and exceed customer satisfaction. The DynoSense team members have extensive experience in medical, healthcare, R&D, engineering, development, and business including (sales, marketing, and distribution) in addition to academic credentials. 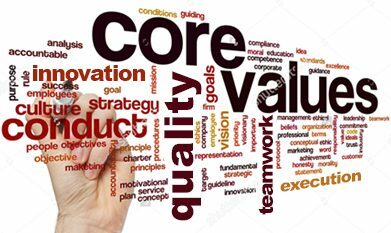 The team members operate under a value system based in (core values). Mr. Saeed Azimi has 27+ years of technology engineering, management and business development experience. He is Founder, CEO and President of DynoSense Corp. He is also a prolific technology inventor with over 50+ granted patents. 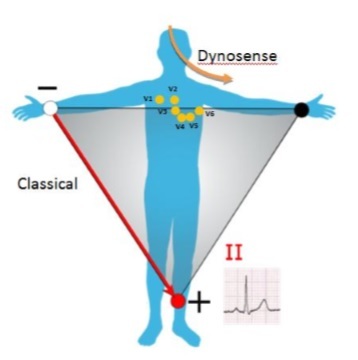 Prior to Dynosense, he was CEO/President of Vital Connect Inc. (2010-2012), a developer of medical patch technology, an Electrocardiogram sensor for 24/7 heart monitoring. He oversaw the organization’s growth to a team of 30+ technologists and medical researchers, who investigated advanced medical breakthrough technologies, such as hydration, blood oxygen and glucose monitoring from upper torso area, all using a small 3″ wide medical patch. Azimi completed two rounds of financing for $13.5M, implemented the process for medical (FDA/CE) certifications, and generated numerous technology patents for the company. Mr. Azimi, as founding Vice-President of System On Chip (SOC) organization at Marvell Semiconductor Inc from startup period to Top 10 Semiconductor Ranking (1997-2008), he was responsible for Storage Product Group that grew to three separate divisions. He built the organization from ground zero (no employee or products) in less than 8 years to a staff of over 500 employees across global cities in the U.S. and Asia. Total revenue of Storage SOC Group exceeded $1.5 Billion by 2008 and achieved #1 supplier ranking in 8 years with shipments of over one billion SOCs. During that period, [NASDAQ: MRVL] grew from 40+ employee startup to a public company with over $8 billion in market capitalization. Dr. Nik Tehrani, Advisor to Business Development, has over 27 years’ experience in business management, marketing, and supply chain development and implementation. He is Chair of Education Committee at Northern California Chapter of HIMSS as well as a member of the Innovation and Technology committee. His interests are developing marketing tools for patient engagement, digital health, and enhancing the patient experience. Dr. Tehrani has also over 17 years of teaching experience as a lecturer and professor at various prestigious universities in the San Francisco Bay Area. Prior to DynoSense, he was President and CEO of Savitron, Inc., an Electronic Manufacturing Solution Company; Global Director of Program Management at Sanmina-SCI, a leading EMS provider; Managing Director and Founder of Majital Solutions, a marketing and engineering consulting company; and Vice President of Marketing and Engineering of ACI, an Electronic Manufacturing Company. A mentor and doctoral student advisor, Dr. Tehrani is also the author of several textbooks and peer-reviewed medical journal articles. Mr. Yun Yang, Advisor to China Group, has 19+ years of experience in development of technologies for systems from computing to medical devices. Mr. Yang has extensive experience in building and managing organizations from small team to large staff across global sites. As founding Vice President of Engineering for Vital Connect Inc, he was responsible for development of FDA/CE approved medical electrocardiogram technology. Prior to Vital Connect, Mr. Yang was Senior Director at Marvell Semiconductor Inc, where he led several engineering teams. He holds a MS degree from University of Southern California and a BS degree from Sun Yat-sen University. Mr. Yang is very passionate about health, fitness and nutrition. He has received NTP certification from Nutritional Therapist Association, one of the leading functional nutrition organizations in the world. Dr. Steven SteinHubl, MD, Cardiologist, Chief Medical Adviser, has extensive practice experience and research in medical and engineering field. As the Director of Digital Medicine at STSI his focus is on the development of clinical trials designed to identify the role of mobile technologies in improving the care of individual patients.&nbsp; His cardiology and interventional cardiology fellowships were at the Cleveland Clinic Foundation where he was also Chief Cardiology Fellow. Prior to joining Scripps Steve was the Director of Cardiovascular Wellness and the Medical Director for Employee Wellness for the Geisinger Healthcare System. Dr. Steinhubl has been principal investigator or helped lead over a dozen large-scale, international randomized trials and has authored nearly 200 peer-reviewed manuscripts as well as numerous book chapters, and abstracts. 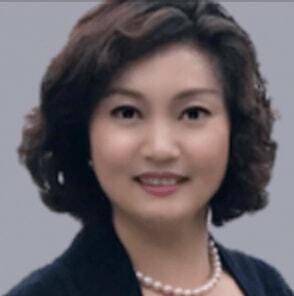 Dr. Jenny Jiang, MD, Medical Adviser, holds an MBA degree from Stanford University and a medical doctorate degree from Sun Yat-sen University. Before starting Tiger Lifescience, she worked for Johnson & Johnson in US and China. Jenny also has rich experience in academia and successfully commercialized innovative technologies as she worked at the South China University of Technology as a lecturer and as a founder of her first startup over ten years ago. In addition, Jenny has rich entrepreneurial experience as well as multi-national managerial skills. She is very insightful in the biotech industry along with medical devices. Dr. Lee Winters, MD, Medical Adviser, is Chief Education Officer for BD Guidance Company in San Francisco, and Medellin. He divides his time between Silicon Valley and Colombia, South America, advising medical device IT and bio-tech companies, using a super computer, Big Data and cloud computing to analyze personal medical data. Dr. Winters teaches in medical and business graduate schools in the San Francisco Bay Area and in Colombia, South America. As Senior VP of Clinical Affairs at Encoll Corp in Fremont, CA (2012-2014), Dr. Winters conducted research at Stanford University Medical School and has authored several medical journal articles. Dr. Winters served four years as Assistant Director of MIS at Stanford University Hospital and served two years as CEO of San Mateo County Hospital. Health information are collected from a variety of sources such as our patented health scanner (Dyno100), capable of measuring 33+ health metrics in less than 60 seconds, and Body Composition Scale (Adore), combined with the patient’s electronic online health records as well as psychological and behavioral data from our mobile health portal (DynoLife). All data is then sent to the cloud for machine learning purposes. 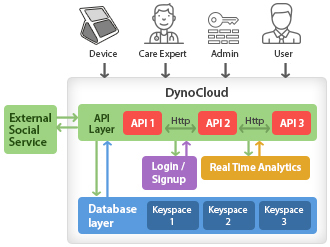 The collected data will then be analyzed in our HIPAA health cloud ( DynoCloud ) and restructured into a personalized and actionable data to identify the health conditions of the individual. We generate a proprietary “Health Score” and “Health Grade” from AI Powered Data Analytics platform and Machine learning. Our big data analytic engine analyzes risk factors and provides customized suggestions. 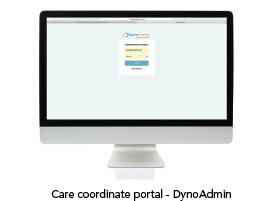 Care providers are given access to a dashboard ( DynoCare ) where they can monitor the individuals’ periodic status, habits and receive alerts of any troubling changes in the patient’s routine. Consumers, patients or seniors also have the option to be communicating in our health social environment where they can receive support from care friends. When you have to reach or manage millions of customers then you need a more powerful system to get the work done, and patient data also need to be shared securely with healthcare providers. Healthcare regulations are pushing the industry to move towards better storage, collaboration and data sharing in the cloud. It allows safe exchange of data between two parties and also transforms data into meaningful information to make valuable decision in future. All health service providers want to get the most out of their investments. To do so, we need to actively manage health services, ensuring that they are used efficiently and optimally while connecting all stake holders. Evvo Labs is proud to partner and collaborate with DynoSense and provide full IT and technical support for DynoSense products and services. We believe this pioneering technology will have a significant positive impact on healthcare delivery in terms of both efficiency and patient outcomes. ...how your product virtually saved her from a stroke or much worse. The ability to perform so many functions at once is amazing. Technology has helped simplify health care and reduce the high costs associated with chronic care management since the days of the first artificial heart. Today, a different kind of technology is also playing a major role in managing health care costs. Remote patient monitoring (RPM) can reduce expenses associated with chronic care, limit hospital admissions, and take chronic care out of the hospital and bring it into the patient’s home, which translates into better patient outcomes. Remote monitoring programs allow for real-time collection of patient data from the comfort of the patient’s home. The patient needn’t do anything but relax and focus on their recovery. Though insurers have been reluctant to cover the cost of remote patient monitoring (due to mistrust over outcome data), the technology has proven quite useful in a number of ways. Caring for patients with a chronic condition can be costly and logistically difficult. Getting them to appointments and assessing whether they’re following doctor’s instructions can also be a hit-or-miss proposition. Once patients have been discharged, determining their condition is essential and can be unreliable. 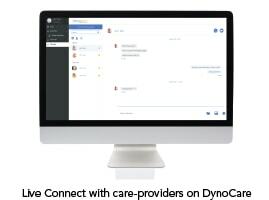 Through programs like Dynosense.com, which provides accurate, timely and secure information, patient health outcomes improve and healthcare costs are reduced. Determining whether patients are following their care plans post-discharge is an important point among health care providers. The most useful features of remote patient monitoring include its timeliness and ability to get patient data to the right people. Doctors, therapists and other health care specialists who play a role in the patient’s rehabilitation and ongoing care can be informed immediately with specifics about the patient’s health data. Statistics show that the majority of seniors (more than 60 percent) want to age in place rather than move to a senior living facility. Remote patient technology makes that possible for a great many older Americans. It can be especially valuable for seniors whose loved ones are trying to provide care from a great distance. With insurers sometimes wary of underwriting RPM applications, it’s important to identify who the best candidates are for RPM technology. In general, individuals with health problems which could be improved through such capabilities are good candidates. It’s important to note that patients must be willing and cooperative if the system is to work as intended. There are concerns that those who change their minds or prove uncooperative could be used by skeptical insurers to point to such cases as examples of a flawed and failed system and technology. Fortunately, for seniors, many Medicare and Medicare Advantage plans will cover the cost of RPM, and other states are quickly catching up. Self-care is always an important factor in a case of chronic care management, both for the care subject and the caregiver. The long-term health of both depend to a great extent on following a healthy diet and getting at least 7 hours of sleep a night. Where pain and symptoms like anxiety or depression are involved, effective self-care might include CBD oil (cannabidiol), a compound found in cannabis. It gives you a feeling of euphoria and relief, important benefits from someone who’s managing chronic pain and related symptoms. Technology can be a powerful advantage in the care of individuals suffering from a chronic condition. RPM technology helps keep such patients out of the hospital because health care providers can keep tabs on their progress and health maintenance upkeep, which reduces healthcare costs and improves patient outcomes by letting them stay at home and convalesce in comfortable and familiar surroundings. When a loved one has Alzheimer’s disease, there are few possible outcomes. Unfortunately, it is an irreversible disease and often takes sudden twists and turns that no one is ready for. But you must prepare for the worst, hope for the best and enjoy the moments you have left with your aging family member. There is no easy way to discuss your loved one’s condition. But you must have an open conversation about it before they are no longer able to comprehend what it means. The Neptune Society reports that having this talk as soon as possible can make things a little less stressful on everyone later down the road. Issues to discuss include personal wishes regarding long-term care and end-of-life arrangements. You’ll also need to go over financial information and discuss how your loved one’s care will be funded. While these costs vary from person-to-person, it’s estimated that facility-based care is charged at a rate of nearly $100,000 per year for a private nursing home. The Alzheimer’s Association calculates that simply having an in-home health aid can cost your family $176 per day for an eight-hour shift. During your conversation about the disease, you and your loved one should look at your options for paying for care. Medicare will only cover a small portion of required medical needs and primarily only in the early stages of the disease. Medicare might pay for diagnostic testing, health risk assessments, and limited mental health services to treat depression and anxiety, according to Dementia Care Central. Gap coverage through Medicaid does not become an option until your loved one’s assets are critically low – less than $2,000. Many individuals choose to use the equity in their home to pay for nursing care or take out a reverse mortgage to offset cost. Other options include veteran benefits and long-term care insurance. It’s important to note that veterans, and specifically those who’ve experienced brain trauma, during their time in service, are at a higher risk of developing Alzheimer’s than the general population. The type of care your loved one receives should be based upon a number of factors, including their personal wishes. Make it clear, however, that should their condition progress to the point that you are unable to provide adequate care in a safe environment that residential nursing care may be necessary. When it’s time to choose a skilled nursing center, don’t rush the decision. Your loved one’s accommodations should be close to home and offer all of the services they’ll need. Upon your initial visit, look for positive signs that this is a healthy and happy place for residents. Do patients look happy? What is the employee turnover ratio? Is there a licensed nurse on site 24 hours each day? An uncomfortable answer to any of these questions is a red flag. If you’ve chosen to provide care at home, keep in mind that this can become a full-time job. Enlist the help of every member of your family and don’t feel guilty if you find it necessary to bring in respite care services from time to time. There is no stopping the progression of Alzheimer’s disease. And there’s no way around the stress and heartache that comes with diagnosis. But you can make your loved one more comfortable and less fearful by planning together as soon as possible. Knowing ahead of time what they want and how their care will be funded will ease the burden on everyone involved in their end-of-life decisions. Abstract: This test is designed to characterize and compare the signal quality of traditional wet (gel) electrode contact material vs. the dry (stainless steel) electrode contact material used in the device after post processing of collected raw data from each electrode type. Two types of contact electrode materials were used: 1) Electrode Pair A- Hydrogel Electrodes: MEDI-TRACE(R) 500 ECG ELECTRODE (K945479), and 2) Electrode Pair B- Stainless Steel Electrodes: 136 SS of final device.After frontend filtering and baseline removal, both pairs (A&B) are qualitatively similar. This is mainly due to the fact that SS tends to have more differential baseline movement caused by higher contact resistance to the skin. Results show that after signal processing (including bandpass filtering and additional baseline removal), two simultaneously captured ECG signals, the first one using HG electrodes, and the second using SS electrodes, are equivalent in terms of SNR and correlation. Although both this device (K172654) and predicate (K150869) use as dry electrodes and are equivalent, this report provides additional comparison of wet (gel) electrode with dry (stainless steel). The purpose of this report is to characterize Dyno 100/50 ECG leads and compare its behavior to standard ECG leads. The standard ECG leads considered are lead 1 to VI and unipolar leads aVL, aVR and aVF. The goal is to demonstrate how close Dyno 100/50 ECG leads are to traditional ECG leads and quantify its similarity/differences. Two approaches were taken to quantify similarities and differences between classical ECG leads and the Device lip lead. The first method focuses on quantifying the degree of similarity based on beat by beat analysis of 7 fiducial points of an ECG beat. These points are shown in an example comparing fiducial points between a synchronized beat from Device and -aVR lead of a classical ECG. In the second analysis method the fiducial points are derived from the template rather than beat by beat analysis. The difference between the two methods would be in the standard deviation since template is a beat average and averaging process is a linear operation. Based on the comparison of 7 fiducial points of the QRS complex and the analysis of results from 10 different subjects and 30 records, Device acquires a lead I with a high probability (70%). The true characteristics of the lip lead is a variation of lead I as the lip lead is located between the contacts of a standard lead I however, it closely resembles a lead I when compared to all standard ECG leads. Today, patients can use their wearable or IoT devices to report data of physiological parameters and track their own health records. IoT wearable technology has been embedded with software and sensors to create a connected network that collect and exchange data. Advances in digital health have fundamentally changed the business model of the pharmaceutical industry, and has impacted all aspects of a pharma company’s structure—from sales and marketing, to R&D and business-to-business activities. As healthcare becomes more digitized, pharma companies are transforming to remain competitive by rethinking their business and operating models, their cultures and capabilities, and adopting policies that nurture innovation and courageous strategic moves. technology can greatly benefit pharmaceutical companies in many aspects such as speeding drug research and development, streamlining clinical trials, improving efficiency of drug delivery, and enhancing patient engagement and adherence. providers will have more health information to link drugs to outcomes and update value-based pricing . Pharma companies will need to provide third parties with access to their product data and become transparent about clinical trials . Today, patients can use their wearable devices to report data of physiological parameters and track their own health records. 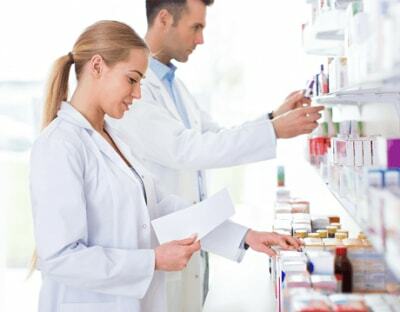 Researchers have observed that actively participating individuals experience results in less treatment cost and better adherence to prescribed medicines as compared to those who do not . Patient education is essential for providing effective communication between patient and physician. With the use of digital techniques, patients are becoming more engaged and outcome based care is becoming a strategic healthcare goal by improving the patient-physician relationship at the lowest cost. Identification of the right initiatives allows pharmaceutical industries to bring about a digital revolution in health care. The pharmaceutical industry is utilizing such technologies for success and innovation. More information about product performance is available and process efficiency is improving. Digital development can bring innovation in personalised patient care. It has improved patient physician relationship and helps in decision- making. Marketing strategies can be well managed and planned by using latest techniques. Companies need to transform their commercial and innovative models in benefit of health care. In the pharmaceutical industries, these techniques are used in the form of sensors and digital apparatus to provide efficient performance  Wearable technology is an important component of digital technologies. The immediate and obvious application of wearable device for pharmaceuticals is in the clinical trial, in which recruiting patients and getting them to adhere their treatment regime are a constant challenges. Wearables can collect real-word data remotely (and, therefore, freeing participants from having to report on site) and then provide reminders so patients don’t forget to take their medication. These capabilities can save companies huge amounts of money by increasing the efficiency of costly and lengthy clinical trials. The ability to easily and quickly collect all of this patient data is particularly impressive and creates great opportunities to monitor the efficacy and are in either early stages of development including clinic trials. For example, sensors worn on the body, which can accurately Wearables are wireless measure body physiological functions and alert participation and compliance. In the long run, utilization of wearable technology techniques can generate an ecosystem that starts from drug production, drug use to monitor patient condition and reaches up to providing feedback to the patient after consultation. With such systems, everyday information of the patient can be monitored by the physician anywhere anytime. 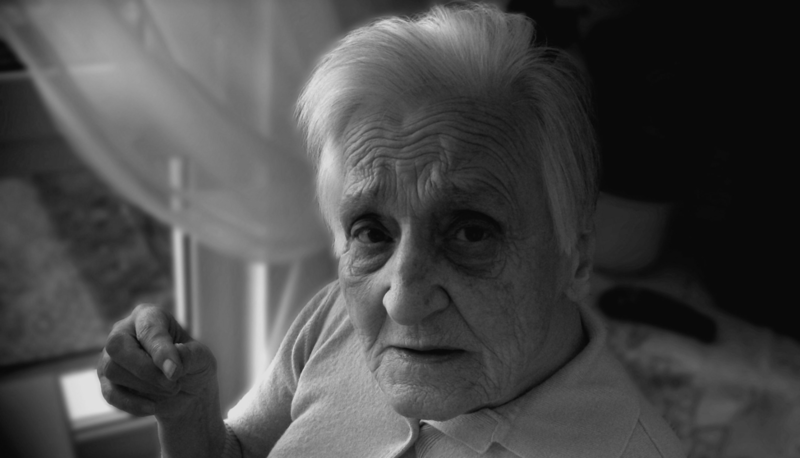 For example a patient suffering from Parkinson disease can provide information to the care provider on the basis of chip on pill technique. With this technique, a smart watch is provided to the patient which monitors drug taking schedule, send reminder to the patient for medication taking and send health status report to health provider. Specialist virtual care application is already in use by health providers for betterment of patients . In research and development department of pharmaceutical industries, the wealth of data collected by wearable device offers more opportunity to better understand the action of medicine in individual patients and to translate back to more effective drug discovery and development tailored to personal medicine. The Dyno developed by DynoSense Corp., is a fully integrated multi-function health scanner technology that can capture more than 33 health metrics in less than 60 seconds with a single user action. The captured health data is securely and wirelessly uploaded to the company’s cloud computing platform for further analytics and processing, and is then communicated with healthcare professionals . 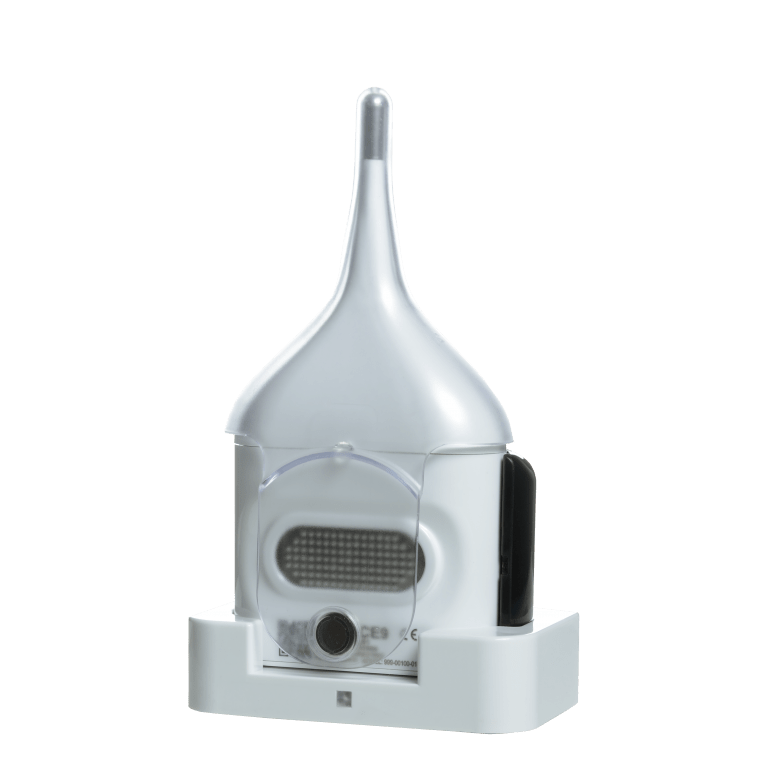 This device can be readily applied for monitoring patients with cardiovascular disease in clinical trials, and the quality of the data collected will be more accurate than the data provided by patient logs or diaries during clinical trials. Despite incremental progress in curing cancer it remains the second most common cause of death. Most, if not all, health professionals agree that early detection of cancer offers the greatest chance of a cure or control of the disease. Skin cancers are highly treatable if they are caught early. Unfortunately, skin cancer doctors (dermatologists) are often not readily available in remote or third-world countries. Today, with the advancement of Artificial Intelligence (AI) doctors hope to provide patients with machines that can early diagnose skin cancers and thus save lives through early detection. Early results are promising as the machines are providing up to 85% accuracy in detecting skin cancers. The use of Artificial Intelligence in medicine is expanding with the experimental use of AI machines reading radiographic breast images (mammograms). Again, the early results are promising. Computer power is increasing dramatically and is the key to more use of advanced AI machines. The use of AI can dramatically reduce the cost of medicine while providing quicker diagnoses. However, AI, at least at this time, is not intended to replace physicians. The best minds in the field of medicine believe the combination of physicians working with AI will provide patients with the greatest opportunity to successfully survive their diseases. Each year, a great number of people die of cancer. Fortunately, when the disease is detected early the cure rate is high, which has led to the development of many forms of cancer screening tests. For example, in the case of breast cancer mammography is one of the most effective screening tests available. The problem is that screening tests remain imperfect, which can lead to some false positive results, which in turn can lead to unnecessary surgeries and biopsies. A common cause of false positive diagnoses is the category high-risk lesions, which look suspicious on a screening mammogram and have abnormal cells when analyzed by needle biopsy. Artificial intelligence (AI) has brought change to the diagnosis of cancer, just like it has to many other aspects of our lives (Pannu, 2015). The general purpose of AI technologies is to make it possible for a society to improve and progress its quality of life. Advances in studies with automatic diagnoses of cancer specimens using AI were beginning to produce results that were sometimes superior to human analysis as early as 2006 and continue to the present day (Deepa & Aruna, 2011; Lisboa & Taktak, 2006; Pannu, 2015). Artificial intelligence advances and with it the field of medicine. In 2011, IBM introduced their supercomputer Watson to the world on the game show Jeopardy where it beat accomplished Jeopardy champions (Ferucci, D. A., 2012). By 2017 Watson was able to diagnose some types of skin cancer, after the technology was improved to match the diagnostic ability of a dermatologist. The improvement came from the creation of an automatic learning algorithm – called machine learning – by the team of Professor Sebastian Thrun from Stanford University. Thrun’s team trained artificial neural networks using a total of 129,450 images and data from about 2,032 different cases of diagnosed diseases. They tested their performance against a score of dermatologists, and the result was that clearly both obtained the same diagnostic results (Esteva, Kuprel, Novoa, Ko, Swetter, …&Thrun, 2017). Perhaps the most important aspect of Thun’s study was that AI used the same method of diagnosing skin cancer as that performed by a specialized doctor: visual observation. Thus, using simple photographs of skin lesions, the algorithm could reveal if the patient suffered from some type of tumor in the skin, and if it was benign or malignant (Esteva et al., 2017). This technological and medical breakthrough was an important milestone both for its reliability, which is very important not to delay the diagnosis of the disease and its severity, and because it starts the path towards the possibility that mobile devices with cameras can expand the reach of a patient’s dermatologists outside the medical or hospital center (Esteva et al., 2017). Arriving at a complete diagnosis to give the correct treatment to patients with cancer requires a complex process where accuracy and speed play a fundamental role. Looking for alternatives to the conventional methods applied in these clinical cases, a team from Beth Israel Deaconess Medical Center (BIDMC) and Harvard Medical School worked on a project that sought to exploit the potential of artificial intelligence. According to the report shared by the researchers, after participating in the ISBI (The International Symposium on Biomedical Imaging), their AI was able to be accurate 92% of the time, compared to 96% of the pathologists’ effectiveness (BIDMC, 2016). But what is really interesting, as the BIDMC study emphasizes, is that combining the work of the pathologist with the identification of the AI, up to 99.5% accuracy could be achieved. And this is just one example of the potential of deep learning to improve the objectivity and accuracy of diagnoses, and as a result to provide patients with the right treatment without losing time. They created a system based on deep learning so that machines can learn and interpret patterns based on the analysis of histopathological images. And so, for example, in patients with breast cancer, identify the presence or absence of metastatic cancer in the lymph nodes (Zheng, Yoon, & Lam, 2014). This melding of the physician with machine is called computer-aided diagnosis (CAD) and is the wave of the future because it can streamline the diagnostic process and increase accuracy (Amato, López, Peña-Méndez, Vaňhara, Hampl & Havel, 2013; Deepa & Aruna, 2011; Esteva et al., 2017). Artificial Intelligence appears to be limited only by the power of the computer. The long-held anecdotal theory (1965, Moore’s Law, n.d.) proposed by Intel founder Gordon Moore postulated that every 18 months computer power will double and the cost of production will be halved. With increases in computer power, AI will surely provide more robust decisions in the medical field. Through a process known as “Reinforcement Learning” computers can acquire additional skills for AI by teaching themselves beyond what humans can input. In spite of this unchecked learning ability, there remain obstacles such as AI interpreting simple cartoons to determine if they are funny or not (Granter, Beck, & Papke, 2017). This leads to a discussion of the ability of AI to surpass the skill of pathologists and radiologists in medical diagnoses. However, there is little chance that your doctor will be replaced by a computer anytime soon. In a somewhat bizarre and unconventional study Levenson, Krupinski, Navarro and Wasserman (2015), while researching AI, the researchers trained pigeons to discriminate between radiographic pictures of benign and malignant breast tissue with a 85% accuracy. At the time, this compared favorably to AI diagnosing where algorithms were developed for the same purpose. Rest easy, pigeons will not be reading your next mammogram. As computers self-whirr to expand their knowledge, another interesting question arises. Have microscopes outlived their ingenuity when a single drop of blood placed into a machine can give results that are undetectable with visual examinations (Granter, 2016)? The answer is still up for grabs. However, Rosai (2007) writes that the trained pathologist will not be replaced as best-practice medicine. Rosai explains that the dependence of microscopic and molecular science complement each other and reside harmoniously to generate new and improved modalities to treat disease. While diagnosis of disease through artificial intelligence would mean significant savings in health costs and human resources, as well as universal access to medical care, there are issues that go beyond the appearance of the injuries, such as the stage of the disease, the depth it has reached, or its possible evolution. As of now, physicians, i.e. humans, are still the most important part of medical care when it comes to cancer. The future of healthcare is connected to multifaceted, advanced artificial intelligence (AI) which collects patient data that lead to providing personalized, interactive health solutions This is directly relevant to the over 30 million people (9.4% of the US population) who have been diagnosed with type 2 diabetes in the United States. The future of health has to do with multi-layered, advanced personalization. AI has the potential to analyze massive amounts of patient information that would otherwise take a large staff and resources to accomplish. An immense system of data can connect indications to causes can allow AI to create an intricate guide of the individual’s condition and give a customized solution for clinical procedures. Deep learning ophthalmology AI technology can diagnose diabetic retinopathy, AI has the potential to better identify selection of diabetic patients for clinical trials to help identify safety and efficacy issues of new medications. The future of healthcare is connected to multifaceted, advanced artificial intelligence (AI) which collects patient data that lead to providing personalized, interactive health solutions .This is directly relevant to the over 30 million people (9.4% of the US population) who have been diagnosed with type 2 diabetes in the United States  . The future of health has to do with multi-layered, advanced personalization . The type of personalization is not only physiological and biological, but also involves understanding who the patient is in terms of lifestyle, i.e., behavior, culture, actions and motivations .By gaining understanding of the total person, caregivers can holistically match the patient with specific possibilities in scientific knowledge gleaned from scientific and medical papers and guidelines and interventions used to treat diabetes . New uses for artificial intelligence to diagnose and treat diabetes have risen in the health care industry, such as IBM’s Watson Health system, which assesses massive quantities of patient data to provide guidance on medical decisions, as well as DynoSense Corp.’s remote health monitoring system that gathers cloud-based personalized patient data that can help predict changes in health that would require a need for action by caregivers. Other companies have also developed AI technologies that provide adaptive learning and medical knowledge that offer guidance to caregivers based on patients’ health profiles. Peer-reviewed research suggests that Lark Health Coach, an AI chronic disease platform can aide in the prevention of diabetes. Lark provides disease prevention and management by monitoring a patient’s health using phone sensors and integrated health devices  . One-on-one text based communication imitates empathetic counseling to help steer a patient toward healthier options  . AI has the potential to analyze massive amounts of patient information that would otherwise take a large staff and resources to accomplish. For diabetic patients, and others, this is tantamount to receiving a doctor’s care every day . People who have diabetes are at risk for diabetic retinopathy, which can cause blindness if not treated properly . Artificial intelligence, such as Google Brain, Machine Learning, and Microsoft Intelligent Network for Eye care (MINE) can detect diabetic retinopathy through dilated eye exams, even if there are not vision related symptoms . A doctor can use a camera to take images of the back of the eye (retina) to look for signs of diabetic retinopathy, such as lesions or hemorrhages . Deep learning ophthalmology technology used for eye care can diagnose and treat patients more efficiently, since without deep learning technology for diseases of the eye, doctors would have to review a multitude of photos . Also, eye doctors in remote areas can use telemedicine to take images of their patients’ retinas and transmit the images to ophthalmologists in other locations for diagnostics . This approach will allow eye disease analysis to be faster and better, with positive benefits for diabetes care , since it would enable patients to receive ophthalmologic diagnostics without travelling to a specialist . It is predicted that, with better AI technology, a person could snap a cellphone selfie for a retinal eye screening . Presently, AI portable applications can cover a vast piece of outpatient and clinical administrations, allowing for specialists to take care of more basic cases. AI can help make patient diagnoses faster by finding relevant data that doctors need to treat a patient and present it in a succinct, easily understandable format . AI can comb through a patient’s history related to a particular disease and link to that patient’s other histories such as high blood pressure, coronary blockages, history of smoking, and prior pulmonary embolism . Such information might otherwise take lengthy research by the physician who does not have time to do so . AI provides essential health care by analyzing patient data, and once it is actionable and meaningful, the information is transmitted to the patient and a caregiver. This results in an immense system of data that connects indications to causes. The machine learning calculations create an intricate guide of the individual’s condition and give a customized solution. AI proposes steps and measures to cure the ailment, including cautioning and notifying the individuals when they have to see a specialist. New uses for AI and machine learning in drug discovery are continually being developed. This technology has the potential for providing mechanistic insights to many diseases, including diabetes, thereby leading to better identification of selection of patients for clinical trials to help identify safety and efficacy issues with compounds . The ability to tap into a wider chemical space to select the best molecules for drug discovery can lead to innovative compound design and a maintainable channel of new medicines . Data Mining, Business Intelligence, Sensing, Ubiquity, Intelligent Agents and Pervasiveness in Medicine, can put effort with new cures and new information for health experts   . In general, data innovation can help enhancing human health and life span. AI intelligent software can be conveyed with the end goal to enhance medical research, illness counteractive action, and healthcare benefit delivery. AI is upgrading human endeavors to enhance the general quality and accessibility of health administration. Pregnant women can use Smartphone apps, social media, and remote health monitoring devices to provide security, confidence, and information about the condition of not only their own health but also that of the baby. Pregnant women can easily gain information about nutrition, complications, and fetal development using current technologies that can provide tips and alerts for preventive care, emergency care, post-delivery support, and information about emerging risks. Remote monitoring of high-risk pregnancy and prevention of preterm labor can now be done in the patient’s home using telehealth devices. Remote monitoring of high-risk pregnancy and prevention of preterm labor can now be done in the patient’s home using telehealth, as well as the non-stress test (NST) is a common test done on patients with a high-risk pregnancy to identify fetus heart rate (FHR) for fetuses that are in immediate danger. Several apps are available on smartphones for pregnant women that offer support and track the health of both the mother and the fetus. 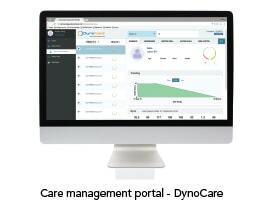 The Dyno, a remote health monitoring system can track the mother’s health and alert caregivers if action is required. Keywords: Smartphone apps, remote health monitoring devices, high-risk pregnancy, non-stress test (NST), fetus heart rate (FHR), Dyno. I. INTRODUCTION The rapid advances of internet and communication technologies have evolved into an essential need, and both city-dwellers and those living in remote areas have equal opportunities to use these technologies to improve their health . Technology is key in healthcare improvement due to (i) cost reduction, (ii) patient safety and satisfaction improvement, and (iii) reduction of potential errors . Recently, mobile technology has vastly evolved into an established platform, with up to 4.6 billion mobile phones being used globally . Thus, many experts in the healthcare industry and health organizations, such as the World Health Organization, are seeking to tap into mobile technology’s potential to reform healthcare management and delivery, especially that which is vital to pregnant women . Pregnancy is one of the most common life situations that might intensify the need for more health related specifics among women . Pregnant women can use Smartphone apps, social media , and remote health monitoring devices, to provide security, confidence, and information about the condition of not only their own health, but also that of the baby. Pregnant women can easily gain information about nutrition, complications, and fetal development . Current technologies can provide tips and alerts for preventive care, emergency-care, post-delivery support, and information about emerging risks . Women undergoing complicated pregnancies often have a lot of concerns and questions. One solution is teleconsultation, which may provide immediate answers and creation of a personal healthcare plan . Patients and physicians can interact via a video monitor and discuss concerns and answer questions through the use of “pictures, diagrams, models or videos” , including advice about nutrition. A number of pregnancy complications, such as anemia, miscarriage or stillbirth, can be avoided by proper nutrition and maintenance of an active lifestyle  . II. APPS Several apps are available on smartphones for pregnant women that offer support and track the health of both the mother and the fetus. The Yukon Baby smartphone app engages women, men and their families and supports them during pregnancy . Pregnant women can also benefit from Bloomlife, an application and device that detects the intensity of each contraction, as well as creating a history of all the changes that have occurred in the long term . My Pregnancy app has features, such as fetal development images, which are shown by expert medical illustrators  . Daily use of apps available on smart phones, iPhone, iPod Touch and Android guide women to prepare for their baby’s birth by providing answers based on the child’s due date . Internet-based behavioral programs can augment prenatal care which may lead to improved pregnancy outcomes . III. HIGH RISK PREGNANCY AND REMOTE HEALTH MONITORING Remote monitoring of high risk pregnancy and prevention of preterm labor can now be done in the patient’s home using telehealth for tracking (1) uterine activity, (2) management of obstetrical diabetes (blood sugar testing and administering insulin), and (3) management of obstetrical hypertension (blood pressure and urine collection) . Pregnancies can be high-risk for many reasons, such as twins, triplets, or multiple fetuses, due to a heightened chance of premature labor  . Other conditions considered high-risk are high blood pressure, chronic illness, history of preterm labor, and gestational diabetes  . The risk of premature labor, which is uncontrolled uterine contractions causing cervical dilation, can be identified early on in the pregnancy and can be monitored in the home by using telehealth devices . Physicians advise women with high risk pregnancies to have complete bed rest in their homes because it may lower “the gravitational stress on the uterus and cervix and increases blood flow”   . Home bed rest creates less stress than hospitalization, which may lead to feelings of confinement, lack of privacy, depression, anxiety, and separation from family . Remote home health monitoring provides women with control over their lives and the ability to perform self-care activities . Previously, women who were prescribed bed rest at home could not participate in support groups with fellow patients; however, due to advanced technologies, patients can connect with online support groups from the comfort of their own homes . Telehealth equipment in the home can monitor preterm labor risks using home uterine activity monitors (HUAM) and non-stress test monitoring . The identification of early uterine contractions has been used for preterm birth prevention for the past twenty years . Home monitoring systems transmits data that is collected two or three times daily to a round-the-clock nurse who reads uterine contractions and all data that is collected is transmitted to the woman’s primary physician . The physician can prescribe self-administered medications that stop contractions or advise the patient to go to the hospital for supplementary evaluation . HUAM research shows that home uterine activity monitoring can detect preterm labor, “pregnancy prolongation and improved pregnancy outcomes” , which leads to improved outcomes for the child, such as reduced nursery stays, “increased birth weights and gestational age “ . The advancement of technology has made possible a more detailed and precise follow-up, used at the request of specialists, since they are essential to determine in the first months of gestation, if the child has a genetic disease, and thus be warned, for the entire gestational process . Remote health monitoring provides mothers with real-time data on their child’s heart activity; collected data can be processed live into the cloud using proprietary algorithms. Users can access the data on their smartphone or on the website of the company where they can record and then share the heartbeat of the baby with family and friends. Each device contains a set of sensors that provides doctors with a wide range of statistics, from the heartbeat rates of the mother and baby, kicks, sleep state and contractions . The Dyno, from DynoSense Corp., is an integrated remote health scanner which can capture a wide range of health metrics from the pregnant woman in her home . It can track up to 33 health metrics containing all basic vitals, for example (i) ECG (electrocardiogram), for all the irregularities related to heart and heart parameters, (ii) photoplethysmography which extracts blood oxygen, (iii) pulmonary plethysmography which extracts the respiration rate, breathing efficiency, and breathing volume, (iv) oral body temperature, (v) and non-cuff blood pressure tracking . The Dyno can do all this easily in less than 60 seconds just with one action by the user. IV. HOME NON-STRESS TEST The non-stress test (NST) is a common test done on patients with high risk pregnancy to identify fetus heart rate (FHR) for fetuses that are in “immediate danger of deterioration and compromise” . Patients can perform the NST in the home daily using a FHR monitor and transmit the data to a caregiver who can reassure the patient that there is no risk or refer the patient to the hospital for further observation . Studies show that home FHR monitoring is safe at all stages of gestation and is so easy to use that it can benefit even “socioeconomically disadvantaged patients” . Home monitoring alleviates patients having to find transportation to a physician’s office, and also encourages them to comply and be an active participant in their own health care . V. CONCLUSION Pregnant women can benefit from current digital technologies for finding apps that monitor health, provide information, or connect to caregivers. High-risk pregnant women benefit from home bed rest and enjoy self-control of their pregnancy health using home remote health monitoring devices. Smartphone and other devices that provide pregnancy monitoring and information apps help connect patients to others in similar circumstances. Remote health monitoring devices that can easily be used in the comfort of a patient’s own home are a preferred alternative to hospitalization that is costly, isolating, and depressing. Today’s advances in digital and remote health monitoring are becoming more sophisticated, easy to use, and turn a pregnant woman’s health data and that of her fetus into actionable and meaningful information for caregivers. All pregnancies can benefit from continuity of care, continuous monitoring, data collection, and access by physicians. Telemedicine Links High-Risk Pregnant Women & Specialists. (2005). Article ID: 51353. Source Newsroom: University of Maryland Medical Center/School of Medicine. Retrieved from http://www.newswise.com/articles/telemedicine-links-high-risk-pregnant-women-specialists  O’Brien, O. A., McCarthy, M., Gibney, E. R., & McAuliffe, F. M. (2014). Technology-supported dietary and lifestyle interventions in healthy pregnant women: a systematic review. European journal of clinical nutrition, 68(7), 760-766. My Pregnancy Today App. (2017. itunes.apple.com. Retrieved from https://itunes.apple.com/us/app/pregnancy-tracker-baby-development…  Kraschnewski, J. L., Chuang, C. H., Poole, E. S., Peyton, T., Blubaugh, I., Pauli, J., Reddy, M. (2014). Paging “Dr. Google”: does technology fill the gap created by the prenatal care visit structure? Qualitative focus group study with pregnant women. Journal of medical Internet research, 16(6), e147. Tehrani, N. (2016). How Health Relationship Management Services (HRMS) Benefits Corporate Wellness. International Journal of Biomedicine, 6(2), 143-145. Smith, Dr. Medical library (1999-2003). High risk pregnancy. Retrieved December 14, 2004, from http://www.chclibrary.org/micromed/00051310.html  Heaman, M., & Gupton, A. (1998, December). Perceptions of bed rest by women with high-risk pregnancies: a comparison between home and hospital. BIRTH, 25(4), 252-258. Maloni, J. A. (1994, October). Home care of the high-risk pregnant woman requiring bed rest. JOGNN, 23(8), 696-706. Moore, M. L. (2003, September/October). Preterm labor and birth: what have we learned in the past two decades? Journal of Obstetrical Gynecological Neonatal Nursing, 32(5), 638-647  Matria Healthcare (n.d.). [Womens Health]. Retrieved November 19, 2004, from http://www.matria.com  Kerner, R., Yogev, Y., Belkin, A., Ben-Haroush, A., Zeevi, B., & Hod, M. (2004). Maternal self-administered fetal heart rate monitoring and transmission from home in high-risk pregnancies. International Journal of Gynecology & Obstetrics, 84, 33-39. Many employees spend more hours at their workplace than anywhere else, not to mention the time spent commuting. The typical worker spends about 47 hours a week in these activities , many of them sitting in cars, trains, buses, or at their desks. A recent study found that a person who spends long hours sitting down each day, has a higher risk of premature death, even if he or she engages in regular daily exercise . Urban environments often require behavior that requires sitting down: commuting, in the workplace, or even during time spent at leisure, such as watching television or movies. These statistics show that maintaining a healthy work and life balance has become progressively important . Traditional corporate wellness programs encourage employees to stop smoking, lose weight, or get more exercise, with the goal of decreasing the company’s overall healthcare costs by having healthier employees. However, such programs have not always met those goals, as research shows that cost increases have either stayed steady or even increased . Wellness is not merely the absence of illness, but also includes the concept of total well-being of the individual embodying social, spiritual, emotional and intellectual health, to include physical health. It also encompasses a lifestyle of healthy behavior and healthy environments that are supportive not only at work, but also in the home and community . Thus, many organizations are turning toward promoting a healthier work environment and health promotion policies for their employees. Corporate wellness programs are effective ways to establish this balance. Programs emphasizing corporate wellness benefits can be instituted in several ways. One new health paradigm that is providing a total health ecosystem is Health Relationship Management Services (HRMS)  that combines remote health monitoring that captures individual health data, sends it to the cloud for restructuring into actionable information that can be used to anticipate changes in health and allow access for caregivers to provide solutions or treatment. HRMS allows individuals to engage in their own healthcare and encourages lifestyle changes for better well-being. The common goal for all corporate wellness programs is to promote employee, employer, and organizational well-being. Employees who do not have the opportunity to engage in corporate wellness programs may be susceptible to serious illnesses, which may lead to long-term disability or discontinuing their employment. A primary benefit of corporate wellness is reducing rates of injuries and illnesses among workers, since many employees experience work-related injuries as well as development of health complications such as heart disease, diabetes, or stroke . Prevention of employee illness can also lead to reducing employee absenteeism, since people who are unhealthy, stressed, or overworked have a tendency to experience illness more so that employees who are healthy . Programs focusing on corporate wellness benefits can drastically reduce these problems. As an example, Coors Brewing Company decreased employee absenteeism 18 percent after introducing a corporate wellness program . Coca-Cola saved $500 per employee yearly, even though only 60% of its employees participated in a corporate wellness program . Also, retention of key employees is enhanced, leading to less turnover. Corporate wellness is also the process of enabling employees to control and improve their own health. On average, half of an employee’s waking hours are spent on the worksite, resulting in stress and lack of physical activity that constitutes to health problems. Many organizations have developed strategies to align their goals and objectives to bring about the sustained performance of business by having effective relationships with their employees. One such strategy is the implementation of Health Relationship Management Services (HRMS) , which is a health ecosystem that continuously monitors an employee’s health data for prevention and/or treatment. As an example, Zappos, an online e-business selling shoes, clothing and many other products to its customers, has rapidly expanded its operations over a short period of time because of successful implementation of a similar method as Health Relationship Management Services (HRMS) . Zappos is admired for its employee wellness programs and healthy environment. Zappos’ workplace is an efficient LEED certified building constructed for the benefit of Zappos employees. This has made the workplace a happier, healthier, and more productive milieu for employees, which translates into happier customer service and customers . New healthcare technologies can now monitor an individual’s personal health data continuously with services that provide health alerts when the data deviates from a healthy pattern. Such technologies can engage an employee in his/her own health care and encourage a healthy lifestyle. Health Relationship Management Services (HRMS)  is such a system that is ideal for employee wellness as it makes it fun and engaging for individuals. Instead of adhering to traditional approaches and methodologies for employee wellness, Zappos focused on making its employees happy by encouraging them to participate in an environment that encourages healthy activities and programs. Zappos believed that motivation is the key to success and values its employees’ feelings and their viewpoints, rather than forcing rigid and overly-planned corporate goals on them . Healthcare services have drastically changed over the past few decades, and the technological advancements in medical systems have revolutionized the healthcare industry. Zappos took the risk of incorporating such new systems of healthcare, which has definitely paid off for the company and employees since most employees now love working there . One such similar paradigm is HRMS in which individuals can engage in their own healthcare and lifestyle changes. Along the principles of this new paradigm, Zappos promotes fitness by monitoring employee health, providing a health station so employees can check their blood pressure, weigh in, and receive a body fat percentage reading. Employees can also log their fitness activities to earn rewards for their physical activity. Zappos also offers free on-site fitness classes and boot camp-style training . Employees can participate in endurance events, such as 5Ks and marathons, and if they finish the race, they are rewarded by being reimbursed for their entry fees . All of these activities are similar to the HRMS paradigm that engages individuals to improve their own healthcare and observe wellness. Employees at another company, VISTA Staffing Solutions, spend on average 10-12 hours a day sitting. The company decided that its previous wellness programs did not work, so they switched to “stand-up desks, wireless head sets and walking treadmills” to create a healthier work environment. The goal was to promote healthy eating habits and weight loss to boost employee productivity. Research has shown a link between employee nutrition and exercise and how it affects their overall productivity . Obesity and related diseases, have led to a significant increase in healthcare costs for many organizations. Zappos was aware that obesity is one of the largest contributors to health problems linked to diseases such as diabetes, hypertension, cardiovascular disease, and cancers. Moreover, these health problems resulted in lower employee productivity, higher absenteeism and an increase in employee turnover. Additional costs aside from medical claims occur when employees are not performing at optimal level. Technological systems can indicate patients’ adherence to medical protocols and acts as a warning sign in many cases such as hypertension, cardiac disease, and many other diseases, as patients are continuously monitored no matter where they are. Giving attention to overall employee wellness, Zappos designed policies to facilitate employee health by offering healthy food options and allowing for exercise time. Zappos focused on employees’ happiness by encouraging them to engage in a flexible, fun approach to wellness, such as Wellness Adventures, March Madness, and Recess Tuesdays, that recruits employees from different departments and encourages them to mix and have fun away from work, doing such activities as laser tag, playing basketball or jumping on a trampoline . To encourage participation, there are incentives to wellness events. By using a similar concept as HRMS, Zappos can monitor the employees’ health records through online portals and can determine whether its employees are following healthy lifestyles and are getting proper healthcare. This is why there is an increased need for employee wellness programs, and systems, such as HRMS, are becoming fundamental to many businesses such as Zappos. Zappos considered how responsibility for action on health determinants and health behaviors was balanced between employers and employees. The development of systems, such as HRMS, promotes and fosters health and well-being of individuals, corporations, and communities. HRMS helps to develop plans to increase physical activities and increase awareness of health problems and education. Furthermore, applications and services which use the internet as a platform have allowed gathering and sharing of medical, health, clinical records and data that can be analyzed, stored, and made easily available to different participants in the healthcare system . This will encourage employees to willingly provide personal health data that will result in job satisfaction, as satisfied employees are more likely to contribute as a consequence of increased duty, responsibility and obligation to employers. Zappos has adopted employee wellness strategies and found that its employees performed better than before as they are more confident, fresh and active while performing their jobs . Zappos wellness coordinator Kelly Maher has remarked that it is all about encouraging people to engage in wellness voluntarily, not by force. Programs that are successful are ones that engage team members to become energized on their own . HRMS can act as a preventative sentinel for corporate well-being as well. Zappo’s, Coors Brewing Company, Coca-Cola, and VISTA created a unique wellness program to engage employees in unique health-through-fun health activities, as well as healthy workplace environments. Benefits of corporate wellness combined with the benefits of HRMS can lead to happier, healthier employees who like their working environment. Companies should take advantage of corporate wellness and HRMS benefits to avoid stressed, sick, or unhappy employees who experience illness, absenteeism, injuries and increased healthcare costs. Instead, companies can experience an increase in employee productivity and retention. A monitoring system, such as HRMS, can standardize patient health data, and continuously follow-up with relevant feedback to actionable data. Therefore, as companies adopt HRMS, health-related costs may decrease while providing better quality services to employees who can receive health services as a product . A harmonious, healthy workplace provides all employees with the benefits of corporate wellness. Patient hospital discharge readmissions has become a major problem for the healthcare industry.Studies show that that almost 20% of patients have adverse events within 3 weeks of being discharged, of which close to three-quarters could have been improved or prevented . In 2010, U.S. hospital discharges numbered over 35 million, and nearly 20 percent of Medicare patients were readmitted within the first month  . 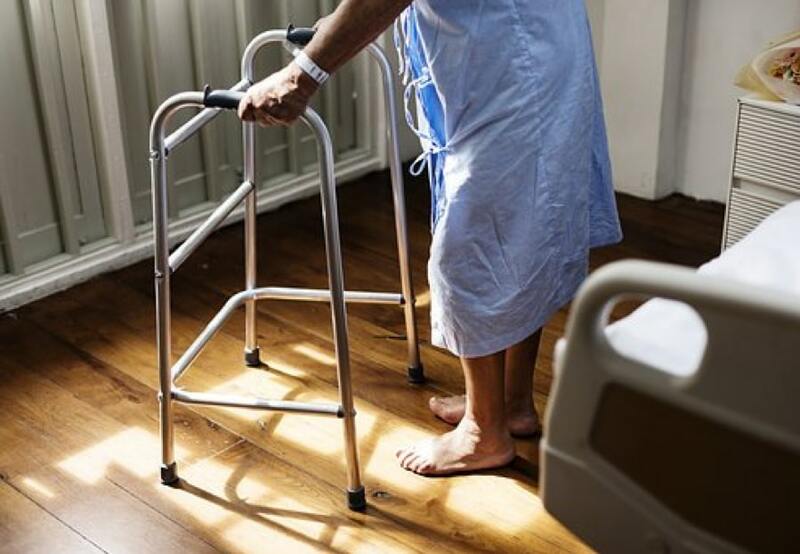 Research shows that, in the U.S., nearly 25 percent of discharged patients are readmitted to the hospital within 90 days. Many such readmissions originate from errors due to discontinuous, fragmented care after discharge . Unplanned readmissions costs billions; thus, they have to be avoided for the financial well-being of healthcare systems and patient quality-of-life . Hospitals are financially motivated to reduce readmissions, since the Affordable Care Act’s Hospital Readmissions Reduction Program (HRRP) Centers for Medicare & Medicaid Services (CMS) poses a penalty on hospitals having high readmission rates that can mount to a considerable expense   . Thus, reducing adverse events post-discharge is essential for the U.S. health care system . Patients may be especially vulnerable during the transition period from discharge and home care because they may be still functionally impaired during the transition from critical care to ambulatory care . This stems from patients leaving the hospital “quicker and sicker”  . Discharge patients who receive home-care are vulnerable because they generally do not receive the same around-the-clock professional monitoring they did in the hospital  . Research shows that one in five patients had an adverse event transitioning from hospital to the home; some were preventable, while others were correctable, but could have been lowered by timely corrective actions . Other studies have shown that at-home patients with undetected deteriorating physical conditions can result in adverse secondary conditions, such as developing infections that bring a person into the Emergency Room. Due to pressure from Medicare and other payers, patients are being discharged as soon as possible, where they often return home with little or no professional assistance, and where difficult and complex care often falls under the responsibility of family members who have no training . Hospitalized patients’ conditions are assessed routinely, but once they go home, they are monitored only by a caregiver who is a family member or someone other than a hospital care provider . For the caregiver, problems arise, such as time management, competing demands, physical and mental stress, and financial concerns . Some problems also may arise due to incompetent or fraudulent caregivers. The most common post-discharge complications are: (i) an adverse drug event (ADE), (ii) infections acquired in the hospital, (iii) procedural complications, as well as, (iv) pneumonia, (v) depression and loneliness . The somewhat higher rate of ADEs after discharge may be due to patients not being monitored as closely following discharge as they were in the hospital . Another condition of a discharged patient that often develops is the feeling of isolation, depression, or lack of awareness of a supporting community of care friends. Although social isolation is more prevalent in the elderly, young adults, such as those who are disabled and confined to their homes due to a disease such as multiple sclerosis, or a young single mother who may experience loneliness and social isolation as well. There are a number of interventions that can be used to reduce readmissions, to include prompt identification and response to symptoms signaling a worsening condition and avoidance of adverse events that result in readmission . Some current suggestions for readmission prevention have included post-discharge activities, such as home visits, follow-up phone calls, and connections to the physician between inpatient and outpatient surroundings . Some effective approaches include preemptive monitoring, visits to the patient’s home, consultations by phone, and telemonitoring . Remote monitoring technology that combines all of these elements may significantly impact a decrease in hospital readmissions by using sensors to detect key wellness indicators, such as quality of sleep, adherence to medications, and physiological information . Sensors used in a patient’s own home can continuously monitor daily living activities and detect subtle clues to potential health problems, notifying caregivers to potential developing health conditions . Research shows that, due to monitoring, for example, patients having heart failure reduced emergency department visits and exhibited a tendency toward reducing readmissions and overall costs . Patients who receive social support from family or friends have healthy beneficial impacts on the “cardiovascular, endocrine, and immune systems” which serve as protective barriers against disease . At-home caregivers can help prevent readmissions by understanding prescribed dosage and adherence to medication schedules . Caregivers should be aware of and be able to recognize risk factors, such as COPD or heart failure. Also, potentially adverse events can be avoided by tracking small changes in the patient’s day-to-day behavior, such as sleep patterns, eating, clinical vital signs and mental state . Real-time monitoring with alerts can lead to intervention and prevent unnecessary trips to the hospital . A comprehensive solution to these problems is a new paradigm in patient healthcare called Health Relationship Management Services (HRMS), which is a daily system of patient remote health monitoring, patient health data analytics, follow-up and response. HRMS helps decrease hospital readmissions, healthcare costs, increase access, and provide “anywhere, anytime monitoring diagnosis and treatment” . HRMS reads patient health data and immediately sends this raw data to the cloud for restructuring into information that can be accessed and interpreted by a caregiver over time. If there is a change in the patient’s health data that requires immediate action, the patient is contacted to see what might be causing the change. When repeated, the continuous use of the monitor adds more personalized patient health data into the system. 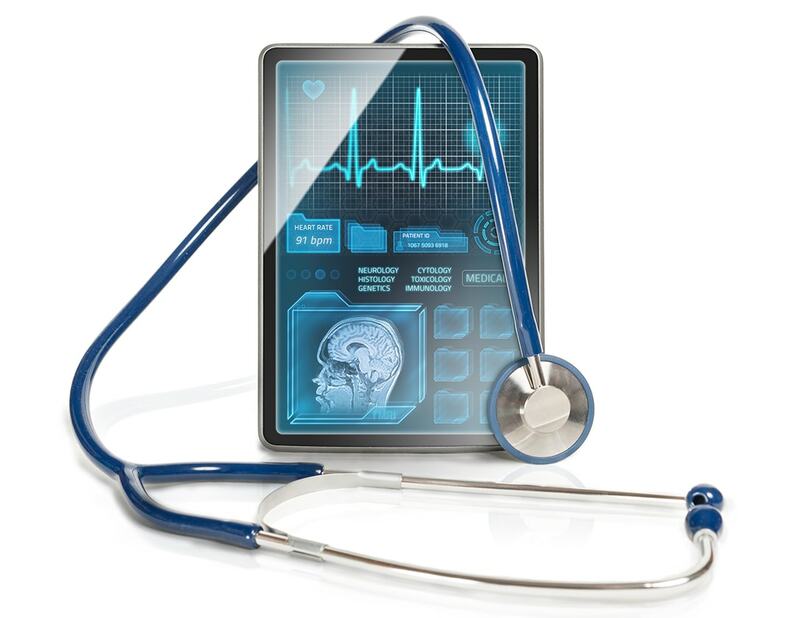 Constant remote health monitoring of a patient can also detect patient disconnect or inactivity, indicating conditions such as a fever, pneumonia, or medication misuse that may need to be followed-up on. HRMS may also be an effective strategy for disease management in high-risk heart failure discharge patients because it monitors physiological conditions  . HRMS may detect symptoms of “hypertension or hypotension, malaise, or requests for comfort or simple communication needs that can be relayed in real time” . Since patients are provided access to real-time personal health information in an understandable format, they now have the ability to contribute, correct or amend information in their own Electronic Health Records (EHR), which can accept patient generated data. By actively capturing and centralizing personal health data, hospital discharge patients are encouraged to become involved in their health with user-friendly access via friendly portals . Patients will also be provided with outbound motivational messages, reminders, and opportunities to further engage in their own health care. For the isolated patient, the interactive app will provide an outlet to the outside world which may limit a sense of loneliness and isolation by discussing health issues with others through Patient Health Narratives (PHN) . Care management platforms incorporate community resources to support patients giving patients access to organization supported social media, games, etc., that encourage engagement and positive behavior change .). By connecting to a caring, supportive, health care community through an online patient portal app, the patient can share stories to better understand health conditions, prescription medications, and alleviate psychological health problems. HRMS has other benefits, such as providing quality end-of-life care by honoring patient wishes regarding life-sustaining treatment. 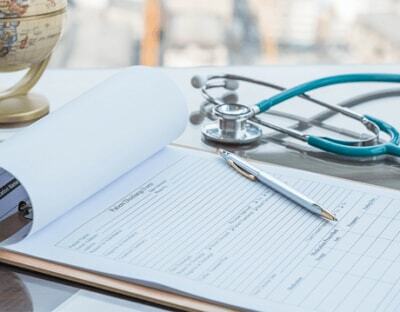 HRMS can incorporate patients’ advanced directives wishes and links to Medical Orders for Life-Sustaining Treatment (MOLST) information and forms accessible by health care practitioners and facilities . Also, since the needs of foreign-born patients may be considerably different from American-born patients, HRMS assessment and care planning now includes culturally sensitive care that meets the patients’ needs, irrespective of their background . This case study is about Carolyn, a baby-boomer aged mother, who is discharged from the hospital after abdominal surgery. She has been hospitalized for several days, and is still in constant pain, requiring regular doses of pain medication. Carolyn is facing at least two weeks of recovery and recuperation at home, after which time, she will be able to return to her job. At the time of discharge from a hospital, a discharge nurse prints out several pages of instructions for Carolyn delineating what type of procedure was done, what to expect at home, and how and when to take prescribed medication. This procedure is often lengthy and confusing to many patients when instructions are given to them, and research indicates that, not only do many discharge patients misunderstand discharge instructions, some even appear to be unaware that they don’t understand them . Now it is okay for Carolyn not to remember everything the nurse tells her at this point of discharge because HRMS has shown that she can access this information through an HRMS remote patient portal later in the comfort of her own home. 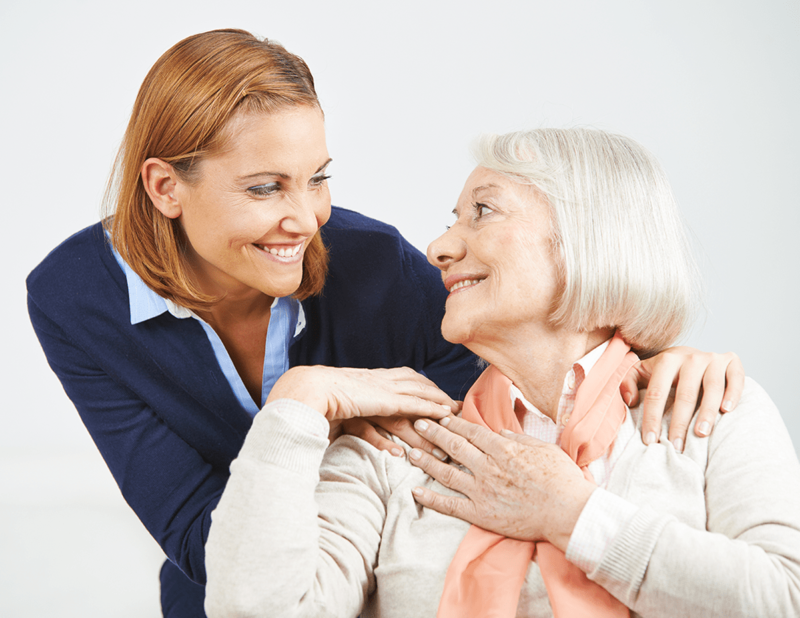 Caregivers are called upon to perform certain routine caregiving tasks once a patient goes home. Carolyn’s daughter, Megan, will help her bathe, prepare meals, administer medication, and change wound dressings. However, since Megan has received very little advice or training from the nurse to care for her mother, these are activities that Megan is not trained to do. Although she is loving and supportive, she also works full-time, so her free time is limited. Hospital staff often does not provide education for these tasks until the day of discharge, which may or may not be the best time for the caregiver to learn their responsibilities. As a result, Megan feels overwhelmed and stressed over this responsibility of caring for her mother, and because of her job commitment, she cannot be readily available, even in an emergency . After Carolyn’s formal discharge at the hospital, Megan escorts her to the hospital pharmacy where she is given her prescribed medications, is educated about their use, and has her questions satisfactorily answered. Carolyn is also set-up with a unique account with HRMS, a prescribed at-home health monitoring system. Carolyn is provided with the HRMS remote monitoring unit that comes with case that automatically will connect her to the internet and the patient portal through a customized android system with access to all instructions for medications and other healthcare instructions. It is crucial for Carolyn’s recovery and health safety that she clearly understand her medication instructions, as well as how to use the remote health monitoring system that will provide her and Megan with health related information at a later date. HRMS will allow Megan to access current information about her mother’s health, medication, and at-home instructions even while she is at work. Automatic reminders are sent for important instructions that must be done at certain times, such as drinking water to avoid dehydration and taking medication at the proper time. Since the HRMS system can also capture all of Carolyn’s vital health metrics to assess physiological changes, Carolyn’s physician can get feedback about her state of mind and physiological and psychological conditions. Upon arriving at home, Megan places the monitoring system alongside Carolyn’s medication on her nightstand, so she can use it every morning when she rises and every night before she goes to bed. She can view video instruction on her screen how to use the system, which, when used according to directions, captures Carolyn’s personal health data that is immediately sent to the cloud for analytics. Typically, twice a day at the time Carolyn brushes her teeth, she can see a screen on her cradle that will show her health metrics with every use, so she knows her health progress every day. While Carolyn is recovering, she is left alone quite frequently. Research shows that loneliness is a widespread social problem with severe physiological and health implications, and appears to be a risk factor for raised Systolic Blood Pressure (SBP) and escalations in SBP over time . So, in-between Megan’s visits, Carolyn engages with the patient app that is part of the monitoring platform to pass the time by reading an interactive online magazine with patient health stories and health newsfeeds, and playing games that reward her with points that can be cashed in for prizes. This will help her understand how to recover faster, which at the time of discharge may not have been understood. Now, Carolyn has an HRMS remote caregiver that is part of the community who supports her and will avoid a sense of loneliness when Megan is not around. HRMS, as a contact to the outside world, will help alleviate that sense of isolation that is important for recovery . HRMS tries to capture as much information about Carolyn as possible, so if she has not understood her discharge instructions, she may receive reminders followed by calls from the Communication Center later on. If Carolyn does not respond to the patient portal, calls or messages, this may be an indication that something is wrong. HRMS can track when Carolyn takes her medications and can tell if there is a change in her pattern. Lack of attentiveness may indicate that she is not taking her medication properly or may not be exercising per her physician’s orders, and the HRMS system will want to know why. Physiological parameters can be tracked for normalcy, and if they appear abnormal (for example, if Carolyn seems to be developing a fever which indicates a post-surgery sign of inflammation), action can be taken. Although incidences of post-op surgery infections are low, individuals who have undergone surgery are the most vulnerable to infections caused by bacteria that resists some antibiotics . Also, if Carolyn should experience swelling of her legs, feet, ankles, calves or thighs, it may be the result of fluid buildup (fluid retention) or from inflammation in tissues or joints . Swelling of the legs may be a sign of a serious disorder, such as a blood clot or heart disease . If any of these conditions are present indicating a deteriorating condition, a patient advocate in the Communication Center, who has been alerted by the analytic engine of HRMS, will place a call to Carolyn to find out if there is an underlying cause that needs action and determine whether further escalation is necessary. This information is recorded in her secured personal data file for later review by her physician. The next level of escalation is to contact her personal care friend, whom, in this case, is her daughter, Megan. There is a constant update in Carolyn’s status, and last level of the escalation path would be an emergency call to her physician or to the ER. Because of HRMS, Carolyn has become an integral part of a new health care delivery model of point-of-care analysis and self-testing system. Carolyn is encouraged to be more engaged in her own healthcare by having access to her own health information and caregivers. Through connected monitoring systems, Carolyn’s daughter now can track her post discharge condition to reduce chances of readmission. Carolyn can stay in touch with others within a caring, interactive, health community through her HRMS patient portal app, a platform that allows her to become personally involved by viewing and contributing to her own health record, providing her with a sense of ownership over her own health outcome. By having a “doctor in a box,” any health alerts will be immediately followed-up on, so Carolyn can avoid readmission to the hospital. You can download a PDF copy from link below that includes listing of all references.